I have been trying to think on positive things, not painful or negative things. A good goal right? I wish it was some noble ideal that I set my heart on first thing every day, but to be honest, right now it comes from necessity. 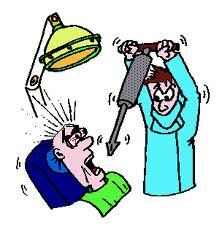 I was in the dentist’s chair yesterday, having a root canal done. Now I have enjoyed this wonderful experience many times before, but on this occasion there were some complications which led to a few moments of pretty high level pain. I had to force myself to focus on something positive. Thankfully I thought restraint to be the better option: in a moment of frustration, pain, discomfort, and trauma – it is so easy to become a ‘buster’ or a ‘breaker’. Yet God calls me to be a ‘builder’. My task as a ‘pastor-teacher’ according to Ephesians 4:11-13 is to “build up the Body of Christ to maturity and prepare it for works of service”. Your task as a member of the Body of Christ is to “show mutual concern” (1 Corinthians 12:25,26) and “build up the church” as The Apostle Paul exhorts (1 Corinthians 14:12). With a yo-heave-ho and a yes lusty yell , they swung a beam and a side wall fell. How can I be sure if God is guiding me? How can I read the ‘road signs’ of life? Are there any clues in the Bible? I think so. And they are important to know, not just for individuals, but for churches as well. Acts 16:6-10 is the account of Paul on his second missionary journey. He lays travel plans but on two occasions he is prevented from sticking to the proposed itinerary (talk about “detours”). The providence of God is obvious. Being hindered to do what he wants, Paul is open to changing direction so as to be able to be in the place God has in mind. After a time of uncertainty, God makes clear the new direction. Of course, believing that God leads is one thing. Hearing/noticing his leading is another! 2. raison d etre – the purpose that justifies a thing’s existence; – what something is used for; example:”the function of an auger is to bore holes”; “the function of Tim Horton’s is to wake you up. I recently read this quote, no doubt asked by some rough and tumble Canadian hockey player: “ballet is beautiful but what use is it?” Or maybe they were speaking about figure skating! Or opera. Or war. Or the third world with its poverty, pain and power abuse. The Christian Church is not the ‘default loyalty’ setting on people’s Sunday morning schedules. Once it was. Now it is not. Don’t you wonder what people think as they drive around court house square and view three church buildings in the space of a few seconds? I’m curious. Why? – because it is my job to get into their world, try and understand it, become aware of the needs, and sensitively bring the kind compassion and life-giving grace of Jesus into that situation. There is a new term in Christian circles that has quickly become a popular and defining slogan for churches to embrace. Its roots, however, are quite ancient. “Missional” is simply the noun “missionary” adapted into an adjective. For example, an “adversary” is your enemy. Someone who is “adversarial” is acting like your enemy. A “missional church” is a church that acts like a missionary. A missionary resides in a community, understands the culture, and proclaims the Christian Gospel in a way that people in that culture can understand. The Christian Church and its people have a role – no, responsibility – to the community. The commission of Jesus is for us. We have a sender (Jesus), a message (the Gospel – which is word and deed), and a people to whom we are sent (real people in our community). It is worth the effort to go, because the love of Jesus expressed in your kind and caring actions, and your messages of hope, powerfully touch lives. It has been my greatest pleasure over the years to assist many of you in discovering and embracing your raison d’etre –in churches, communities and in Christian camping. Perhaps that has been my mission? running on empty or excess? – what principles guide you & your church? I found the devotional thought below on jonathanpearson.net. I think it is worth sharing here. Hope it speaks to you. I think it has implications for everyone concerned about their churches, churches that seem to be running close to empty on the resources gauge, churches that seem reluctant to try new things, churches that think the challenge is too large, churches that are not used to a ‘desperate trust’ kind of faith. Please remember these principles next time you are in a church meeting. 1. People should never leave our church/our lives hungry for the Gospel. It’s our job to be sure that they have what they need when they leave. We can’t send people away wanting truth when they’ve just sat through our service or witnessed our life. 2. Commit what you do to Christ and you’ll never run out. No matter what you’ve got, or what you’re doing, commit it to Christ and He will use it. You won’t have to scrum to find more. Christ always takes what we sacrificially give and makes it more than enough. 3. Reaching people requires action, hard work, and taking risk. The disciples really had no clue how much food they had when they started giving it out. The disciples did, however, obey Christ with action in faith that there would be enough food to go around. No matter what your calling is, you must act in order for it to be accomplished. Never use prayer as an excuse for inactivity. 4. Do your part in faith and leave the results up to God. Ultimately, you can’t work hard enough to make something successful. No matter how hard you try, you’ll never accomplish anything if you depend exclusively on yourself. There comes a time in everything when you just have to simply trust God. When I read the New Testament I see a church dedicated, not to a philosophy nor a system nor a culture nor a business – rather, dedicated to the Lord Jesus Christ and his people. As soon as we regularize details we lose the relationship dimension. As soon as we institutionalize we lose the interdependence. As soon as we value market strategy we lose the value of Holy Spirit leading. Stetzer goes on to say that this kind of environment has nurtured the growth of the “Pastor as Rock Star”. I say that ‘super-stardom’ was not the quest Jesus was on. Nor is it to be the quest of his church. Like a horde of persistent, screaming and obsessed ‘groupies’, too many undesirables (people, policy, procedure, products, and personality) are attracted to those in the ’fame game’. This is the underbelly, the dark side of popularity, and it is attached to stardom, like barnacles on a boat. O Lord, keep us from the temptation to hope for ‘Rock Star fame’.